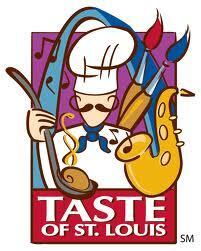 The Taste of St. Louis will be held September 23-25 in Soldier’s Memorial, with 45 restaurants representing St. Louis’ culinary spread. In addition to noshes, the Taste of St. Louis hosts live music, cooking demonstrations, art and wine walk, a Kids’ Kitchen and stage, and much more. Admission is free all weekend. Take MetroLink to Civic Center Transit Center and walk 2 blocks north to Soldier’s Memorial. Or take of one many MetroBus routes that will reroute around the fest to Tucker or 18th Ave. MetroBus reroute info. Saturday, September 24 the Edward Jones Domes will host the Gateway Football Classic Doubleheader, with Lincoln University vs Missouri Southern State University at 11 a.m. and University of Arkansas Pine Bluff vs Clark Atlanta University at 3:00 p.m. The Gateway Classic Scholarship Fund provides college funding to St. Louis area youth. Saturday morning at 7:00 a.m. the Gateway Classic Parade will travel down Market Street onto Broadway to the Dome. Take MetroLink to Convention Center MetroLink Station, or exit downtown MetroBus routes on 18th Street or Tucker. MetroBus reroute info. Dancing in the Street 2011 in Grand Center will showcase over 700 dancers and 75 performances on four outdoor stages. Grand will be closed between Lindell and Delmar. The #70 Grand will reroute around the closure, but it, the #10 Gravois Lindell and #97 Delmar all service the event. If you have future events you would like to promote transit travel to and from, let us know!